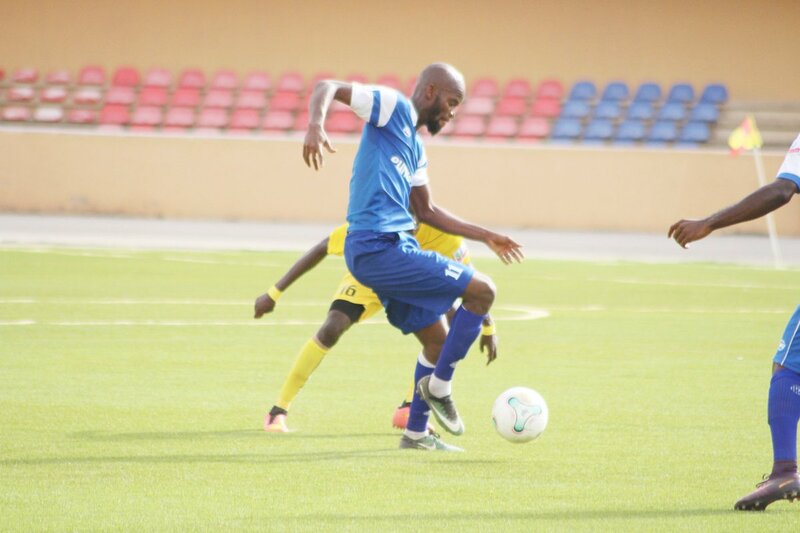 Rivers United dropped crucial points at home on Monday as they drew 1-1 with Katsina United on match day 33 of the Nigeria Professional Football League (NPFL). Both sides were mired in the relegation zone before kickoff but the hosts knew a win at the Yakubu Gowon Stadium would be enough to see them leave the drop zone. The hosts started briskly and could have taken a lead inside the opening five minutes but Chiwendu Ali saw his fierce, curling free kick from a tight angle beaten out impressively by the Katsina United goalkeeper, Yinka David. Lukman Mohammed had a tentative strike just after the half hour easily dealt with by David who didn’t really have plenty to do in the first half. The goalkeeper was soon picking the ball out of his net however as the hosts took the lead just before half time when Malian striker, Abdoulaye Kanoute swept home for his first ever goal for the club. Clear cut opportunities were few and far between in a game lacking in real quality but the next big opening fell to the visitors. It was an opportunity that Faisal Sani should have taken but he somehow shot over from three yards with a gaping goal at his mercy. It was a premonition which the hosts failed to heed and they paid the price in heart breaking fashion at the death. A shocking lapse in concentration in the final minute of second half additional time allowed Martins Usule to slip past the Rivers United defence and he subsequently displayed ice-cold composure to slot past Sunday Rotimi in the Rivers United goal. It was a body blow that the hosts had no time to react to as the final whistle was blown soon after. The Rivers United players collapsed on the turf in shock and despair afterwards knowing they may have blown a great chance to remain amongst the elite of Nigerian football while the visitors gathered and celebrated as a band of brother; the significance of the result clearly not lost. Head coach of Katsina United Balwin Bazuaye and Rivers United striker, Godbless Asamoah spoke to Rivers United official website after the pulsating contest. The point sees Katsina United leave the relegation zone as they now occupy 16th position on the NPFL log with 43 points from 33 matches while Rivers United remain on 18th spot with 42 points from 33 matches.